LG Commercial Range CAC cover a wide capacity range (2.5 - 25 kW), highly efficient systems for Retail, Offices, Resturants and Specialist Applications. 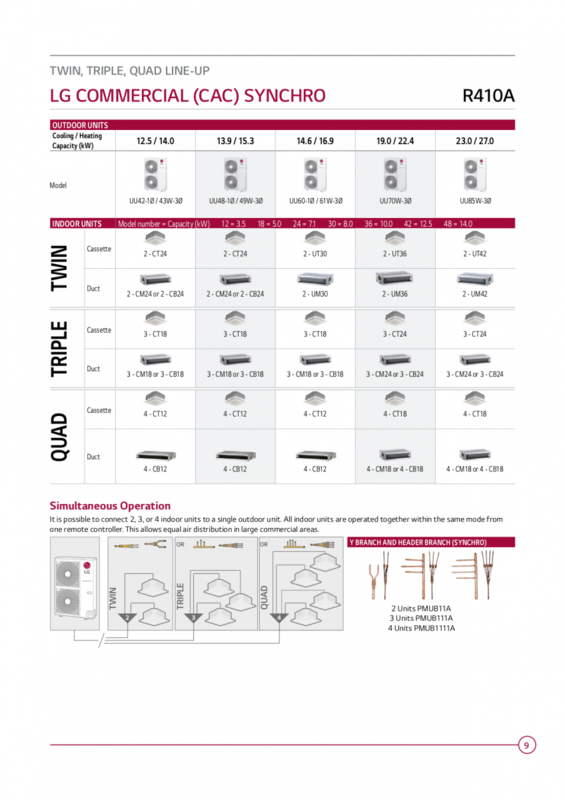 Syncro System: LG Syncro system comprises one outdoor unit connected to Two, Three or Four Indoor units to operate as one system controlled via one remote controller. The Syncro system can be used to provide large open areas even distribution economically and effectively. 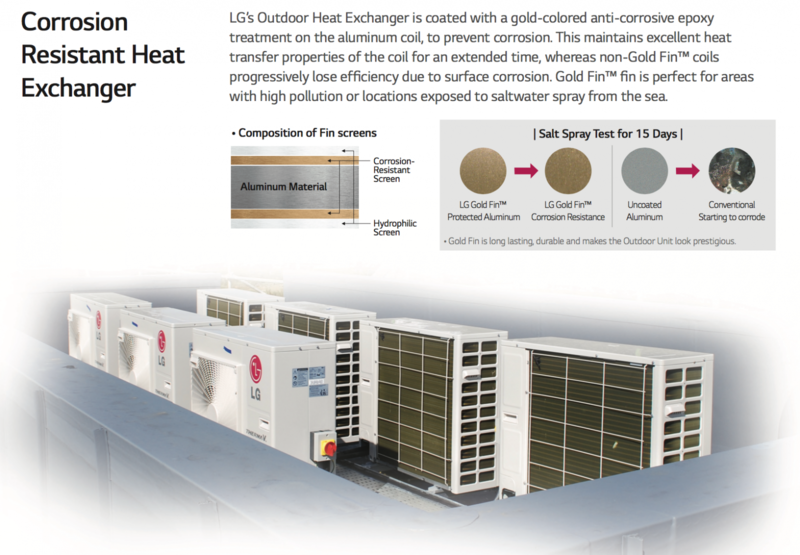 Air Handling Units DX cooling / Heating: LG Outdoor are ideal to connect to OEM DX coil on any air handling units without adding Expansion valves as it is standard. Interface controls are most advanced connects to LG central control or any BMS system.